When I started my very first job out of a college as the receptionist at a TV studio, I was plagued with worries. Would I make a good first impression with my boss? Would I learn how everything works quickly enough? Would I have work friends? 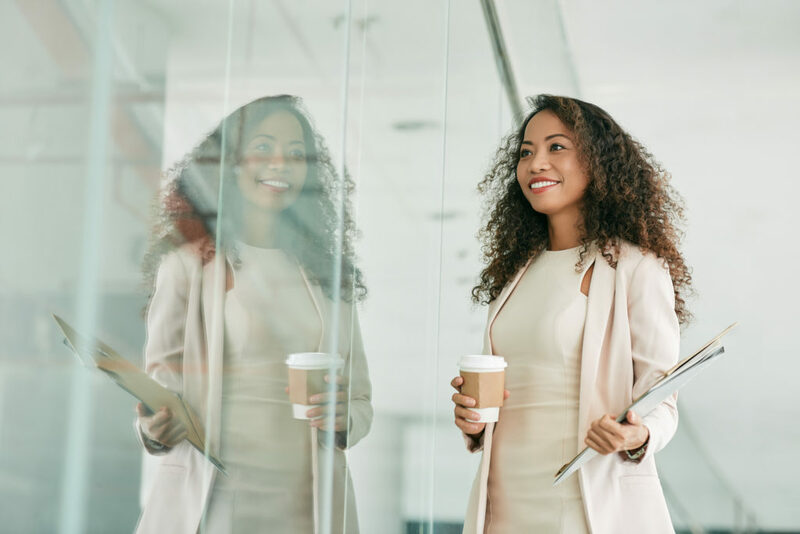 Starting a new job is definitely a nerve-wracking experience, but now that I’ve experienced a few first weeks at a few new jobs, I’ve taken away some helpful hints for how to make the most of your first week in the new gig. Your first week is the chance to absorb as much as you possibly can about your new company. You’ll probably learn an overwhelming amount of information in your first few days, so don’t be afraid to take notes. Even writing down your new co-workers names and titles will be helpful later on. Use this time to observe and learn about the workplace culture. Do your co-workers wear jeans to work and chat casually about their weekends over their cubicle walls, or is the tone of the office a bit more serious? Does everyone take an hour lunch break offsite, or eat in the conference room with their teams? Take note of office politics and how people communicate with each other. You can learn a lot by simply paying attention. When I started working at the TV studio, I was too nervous to even ask where the bathroom was (I eventually found it, but only after embarrassingly walking into the loading dock). A few days in, I realized that I wasn’t going to get anywhere if I didn’t start asking questions. Your first week is your opportunity to really get yourself up to speed, get to know company protocol, and get started on your first projects. Your co-workers will expect that you’ll have questions, so let go of the fear of being annoying. Even asking larger-scale questions like, “What would a successful first month, or first six months look like to you?” will give you important insight into your boss’ hopes for you. My first couple of weeks at that reception job came with some downtime since we weren’t in the midst of production yet. I saw how frazzled the producers were as they prepped and researched their TV segments, so I asked my boss if it would be okay to help. Not only did it relieve some stress from the producers, but it also demonstrated a willingness to be a team player, along with my interest in doing more creative work. One of the producers later told me that showing initiative made her realize she could trust me with more important projects in the future. Remember that you’re not the only one adjusting to a new a job. Your boss and team are adjusting to you, too. If you find yourself with downtime, offer to help. You’ll learn by doing, and establish a great rapport with your colleagues. You’ll probably spend 40 hours a week (or more) at the office. That’s a huge chunk of your day, (and your life) to spend with a bunch of strangers. Take time to have meaningful conversations with your new co-workers and get to know them. Consider who might be a mentor to you in the future. Whose work ethic, confidence, and skill do you most admire? Spend some time learning from that office all-star. I still keep in touch with both my “work wife” and biggest mentor from that first job, five years later. Your new company likely hired you because they believe your skills and talent can help add value to their organization. That’s wonderful, but you’re probably not there to dramatically change the direction of the company or catapult them to superstardom. Remember that any rookie position comes with due-paying, and you might be required to do menial tasks from time to time. Shake off any feelings of entitlement and come to work with a fresh perspective and openness to learn. Carrying yourself with graciousness can go a long way.